The commission ended in December 2017. A new group of Disabled residents, councillors and council officers have started meeting to make sure that the recommendations from the report happen. For more information contact Kevin Caulfield, Strategic Lead Co-production, at Kevin.Caulfield@lbhf.gov.uk. If you need this document in another format, please contact Kevin.Caulfield@lbhf.gov.uk. Who is the Disabled People’s Commission? What has the Disabled People’s Commission been doing? What will the Disabled People’s Commission be doing in the future? On International Day of Disabled People in December 2015, representatives of Hammersmith & Fulham Council made a commitment to working closely with Disabled residents to make decisions about support and services. The commission's vision was that we set in place a new way of doing things that saw Disabled residents, councillors and officers and other organisations in the borough working together in a way that values and respects the rights of local Disabled people. "Nothing About Us Without Us" is what local Disabled people want. The commission took a social model of disability approach to its work with a commitment to inclusivity and accessibility. The commission was guided in its work by the UN Convention on the Rights of Persons with Disabilities (UNCRPD). The commission has made eight recommendations that will lead to Hammersmith & Fulham becoming the most accessible and inclusive borough in London. Reviewed studies on the experience of Disabled people in London and elsewhere in the UK, particularly looking at new ways of working together (co-production). Talked to Disabled residents and users of local services about their experiences of living in Hammersmith & Fulham, their quality of life and how they are involved in making decisions. There was a Disabled residents' survey. The commission invited Disabled people to share their experiences and discuss possible solutions to barriers to Disabled people's lives at a series of public events in April/ May/October 2017 and at commission meetings. The commission produced a report of its findings and recommendations for action by the council and other local organisations. The final report was sent to the Cabinet Member for Social Inclusion, the Cabinet Member for Adult Social Care and to the Health, Adult Social Care and Social Inclusion Policy and Accountability Committee. Running alongside the four stages of the commission’s work, we started to work on developing policy together, such as in housing, which will help us see what we can achieve. The final report has now been published, and is available at the top of this page. All appointed commissioners, self-identified as Disabled people and reflected a wide age range of local residents. In order to ensure a diverse range of commissioners were selected there were a minimum of eight seats on the commission. To ensure that meetings were manageable and that the commission remained focussed on its work, the maximum number of seats on the commission was twelve. Ten commissioners were appointed. Tara Flood is a disability rights activist and has been the Director at the Alliance for Inclusive Education since April 2006. Tara has been involved with the disability rights movement at a grassroots level, for many years, and she is committed to creating social and political change, that will deliver equality for all Disabled people at a local, regional, national, European and international level. For 20 years Tara has worked with local and national organisations led by Disabled people, allied organisations, voluntary organisations and groups, statutory agencies and government departments, both in a personal and professional capacity. She is committed to the voices and experiences of all Disabled people being at the heart of discussions and decision-making about our lives. Tara is a former chairperson of Hammersmith & Fulham Action on Disability (now AOD) and is currently a Hammersmith & Fulham Coalition against Cuts (HAFCAC) Steering Group member and a trustee of Inclusion London. Kate’s professional background is in the development of information to support people with long-term conditions to make informed decisions about their health and lifestyle choices. She has lived in Hammersmith since 2002 and now also works in the borough. She has lived with rheumatoid arthritis since she was 13 years old. It severely limits her mobility and causes constant pain. Victoria is Chair of Action on Disability and has been a trustee since 2013. She works full-time as a radio producer and is a tetraplegic wheelchair-user. Victoria is an ambassador for the international disability charity CBM UK, a patron of the Friends of Sunera Foundation, and secretary of Hammersmith and Fulham Amnesty International group. Previously she was a governor of a White City primary school for eight years. In 2013 she was awarded an honorary doctorate by Anglia Ruskin University for being a “disability champion”. Ali is deaf born and raised in London. His family are all hearing. Going to a mainstream school with a deaf unit helped him develop his communication skills with both hearing and deaf people. He considers himself an advocate for deaf people who may find this to be an obstacle. As a disabled people's commissioner, he wants to improve support and services for deaf people and make British Sign Language (BSL) more accessible. Martin is the Chair of Safety Net – People First (SNPF). SNPF is a charity and self advocacy group run for, and by, people with learning disabilities. Its priorities are to raise awareness of our rights and the issues faced by people with learning disabilities. 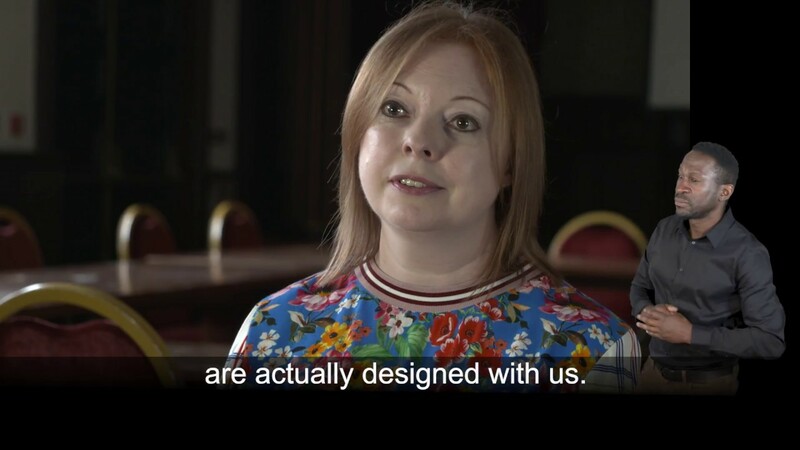 They do this by working with other Deaf & Disabled People's Organisations (DDPO), delivering workshops and having a presence in the wider community. He has joined the commission because he wants to make Hammersmith & Fulham a better place for people with disabilities, particularly people with learning disabilities and to make the area more accessible, including buildings, information and services. Michael was born in Hammersmith & Fulham and has lived in the borough for most of his life. Up until his retirement he worked as a trade journalist, predominately specialising in the built environment and transport issues. He hopes his experience, both as a journalist and a Disabled person, will enable him to make a contribution to the DPC and its report later this year, especially in looking at accessibility and facilities in the built environment. He was diagnosed with juvenile arthritis at 11 years old, a condition that has spread from his feet to knees, hands and shoulders. David volunteers for a local charity befriending the elderly in the borough, and is also a volunteer and speaker for the Guide Dogs organisation as well as being a member of the Earls Court Redevelopment Taskforce set up by H&F Council. He recently joined the Tenants' and Residents' Association of the West Kensington Estate. Before losing his sight, he worked in the design industry for 20+ years. He has been registered blind since 2013 and has lived in Hammersmith for the past four years. Patricia has lived in Hammersmith since 1970 and is a former employee of Hammersmith & Fulham Council. She was on the committee of Hammersmith & Fulham Action on Disability (HAFAD) known now as Action on Disability and has done voluntary work. Ramona has lived in Hammersmith for the last eight years. She has volunteered with many different organisations to help people who are blind or partially sighted to become confident and independent in their own home or out and about. She helps people to have a much better understanding of a how people live with blindness or partial sight. Since 2014 Ramona has gone on to set up her own social enterprise Eyes For Success CIC to carry on the work she has done volunteering. Jane is deaf and lived in Hammersmith & Fulham for over 30 years. She has worked with disability organisations at national, London and local level. Jane recently retired from Action on Disability after 25 years as a trustee. Jane is a lay member for health commissioners who buy healthcare for Hammersmith & Fulham residents. She is passionate about promoting co-production with patients and carers to improve health services for local people. Jane also chairs the Disability Forum Planning Group, advising the council on ensuring access for Disabled people on major planning applications. Visit our agendas, minutes and documents page.